Glowing brightly in the border, Berberis x media 'Red Jewel' forms a neat, rounded mound of glossy red-purple leaves that turn bright red in autumn and remain on the plant through winter. Small, pale yellow flowers appear in spring. 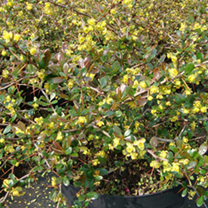 Happy in sun or partial shade and in most soil conditions, it works well as an evergreen structure in the border, and also makes a good informal hedging plant, with the long thorns providing added security. Flowers April-May. Height 90-100cm. Supplied in a 7.5-10 litre pot. Glowing brightly in the border, Berberis x media 'Red Jewel' forms a neat, rounded mound of glossy red-purple leaves that turn bright red in autumn and remain on the plant through winter. Small, pale yellow flowers appear in spring. 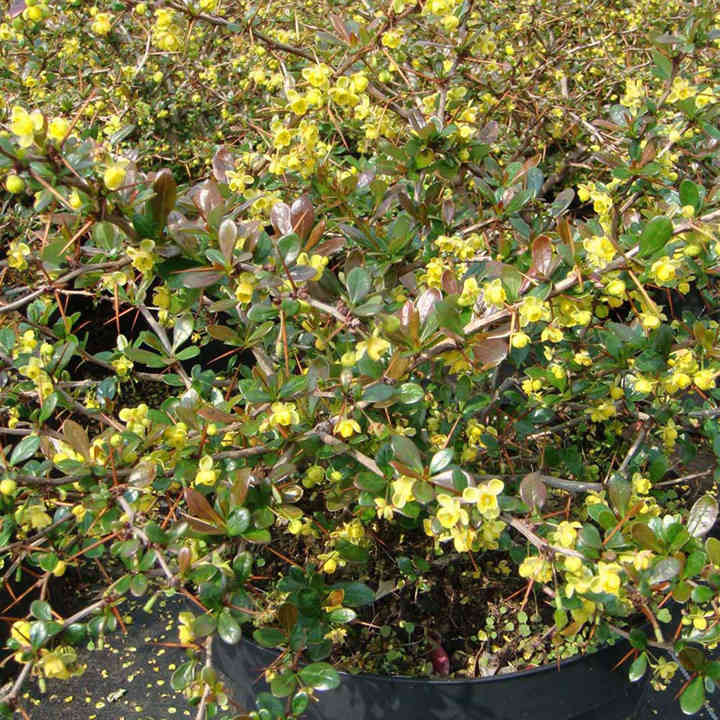 Happy in sun or partial shade and in most soil conditions, it works well as an evergreen structure in the border, and also makes a good informal hedging plant, with the long thorns providing added security. Flowers April-May. Height 90-100cm. Supplied in a 3 litre pot or 7.5-10 litre pot.